ST. PAUL, Minn. (7/17/2018) — Eighty families from throughout Minnesota are being honored as 2018 Farm Family of the Year by the University of Minnesota. The farm families will be recognized in ceremonies beginning at 1:15 p.m., Thursday, Aug. 9, at the annual Minnesota Farmfest on the Gilfillan Estate near Redwood Falls. The event is in the Wick Buildings Farmfest Center on the estate grounds. The families were chosen by local University of Minnesota Extension committees based on their demonstrated commitment to enhancing and supporting agriculture. A sampling of farmers and their contributions to agriculture follows. All the 2018 farm families are profiled at: https://mnfarmfamilies.cfans.umn.edu/families-by-year/2018. Ann and Ron Branch grew up on family farms in Minnesota. They met at the University of Minnesota, where Ann earned a degree in home economics education and Ron in agriculture. They purchased the land for their farm in 1984 and began selling produce in 1988. The Branch family raises a wide variety of produce including strawberries, raspberries, tomatoes, cucumbers, peppers, green beans, beets and cut flowers. 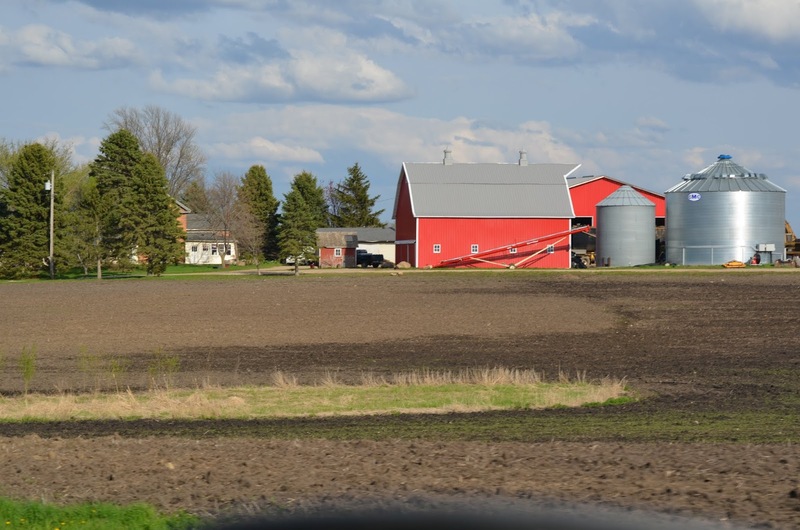 Over the years, Berry Ridge Farm has hosted University of Minnesota on-farm research. In 1992, the Branches pioneered high tunnels in the farm’s specialty crop operation and now the family has six high tunnels to maximize production on their 11-acre farm. Ron has served as president of the Minnesota Fruit and Vegetable Growers Association and is involved with other organizations including the Douglas County Farm Bureau and University of Minnesota Extension Master Gardeners. He helped organize the Minnesota Farmers Market Association. Ann helps at their local farmers market with demonstrations promoting the fresh produce sold by vendors. The Besser farm is a cash crop enterprise and operated by Brian and his two sons, Brandon and Blaine. The Bessers raise 1,300 acres of corn and soybeans. In addition to the crop operation, Brandon and his wife, Mary, help manage the family’s trucking business and operate a seed sales business. Blaine and his wife, Melissa, who purchased his grandparents’ neighboring farm in 2014, also help manage the crops and trucking business. Brian’s daughter, Katie, and her husband, Nathan Koenings, lend a hand when they are able. The Bessers raise sweet corn for Ogilvie’s “Corn on the Curb” celebration and the family helps sponsor Santa Day at the Ogilvie Fire Department. Brandon serves on the board of directors of the East Central Corn Growers Association and Mary is vice president of the Kanabec County Fair Board. Frank began his farming career with his brother in 1958. Seven years later, Frank and Betty purchased their own farm. The couple started with a small herd of stock cows and a few pigs and raised grain. The Jorgensens built a large farrowing barn in 1971 and entered full time into farrow-to-finish hog production and sold some feeder pigs. Twenty years ago Frank retired from raising pigs, but continued growing corn and soybeans. Frank is retired now but continues to live on the farm. He rents his land to his son, Reid. Frank still enjoys harvesting wheat so he takes great pride raising 50 acres of wheat. Betty tends a large garden with flowers as her specialty. The Jorgensen family was very involved in local 4-H activities. Frank and Betty are very active members of Danebod Lutheran Church in Tyler where thy have served as youth advisors, taught Sunday school and participated in the choir. When he raised hogs Frank was a state director with the Minnesota Pork Producers Association. He is currently president of the Lincoln County Fair Board and a member of the American Legion. Betty is a retired registered nurse. She worked at the Tyler Nursing Home for many years. The Hayes farm is a century farm dating back to 1906. Over the past 50 years the Hayes family mainly raised pigs and some sheep. 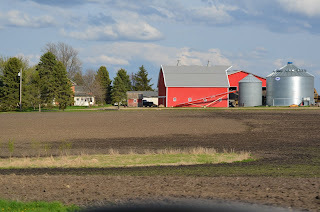 The farm has a history of growing oats, wheat, alfalfa, sugar beets, corn and soybeans. Today, the Hayes’ farm is a cash crop operation raising corn and soybeans on about 1,000 acres. Tom and Patti have four grown children, all of whom were involved in Minnesota 4-H while growing up. Tom is a member of the Lafayette Area Lions and the New Ulm Farm-City Hub Club. He is a board member of the New Ulm Area Foundation and a graduate of the Minnesota Agricultural & Rural Leadership program, a leadership development program offered by University of Minnesota Extension and Southwest Minnesota State University. Tom has been a director on the Brown County Rural Electric Cooperative for 21 years. Patti is active in church activities and is a past 4-H adult leader for the Bernadotte 4-H Club. She is a 32 year member of the Lafayette Band. Dan and Crystal are the sixth generation of the Ley family to operate the farm, which has always been a diversified crop and livestock operation. It consists of 320 acres of corn, soybeans, alfalfa and cover crops. The Leys’ farm is home to 55 head of dairy cows and replacements and 15 head of beef cattle. The Leys have been farming all their land using no-till practices for the past 12 years. They’ve used cover crops for a decade. Dan and Crystal operate the farm with help from their children, Ashley, Derek and Alyssa. At times, Dan’s parents, LeRoy and Sandy, will help drive the tractor during harvest and they help out when needed with day-to-day chores. The Leys share their experiences with cover crops and conservation practices. They’ve hosted several field days dealing with cover crops and no-till farming. They’ve participated in University of Minnesota Extension on-farm research involving cereal rye cover crops and other research projects. Dan has shared his knowledge of conservation and no-till farming with students at Paynesville High School and the farm has hosted the Paynesville FFA Dairy Team for practice judging events. Media Contact: Allison Sandve, Extension news media manager, ajsandve@umn.edu, 612-626-4077 (office) or 651-492-0811 (mobile). For more news from U of M Extension, visit news.extension.umn.edu or contact Extension Communications at extnews@umn.edu. University of Minnesota Extension is an equal opportunity educator and employer. It is proud moment for those farm families. Congratulations.